The Japanese Black Pumpkin, also known as Kabocha, is a globe shaped fruit that has a very dark black-green skin and a brilliant yellowish- orange flesh. It is a type of squash and the inside looks very similar to a regular orange pumpkin, while the texture and flavor of the flesh resembles that of a sweet potato or perhaps a butternut squash. The Japanese Black Pumpkin has a naturally delicious flavor that tastes great when simply roasted, or when used in dishes such as tempura and stir fry recipes. Many people describe the taste of the black pumpkin as being sweet and having almost a nutty flavor. The flesh is moist, soft, and fleshy and also keeps well when frozen and can also be used in baking recipes or can even be pickled. Due to its deep, dark coloring, the black pumpkin would also make a fabulous addition to any Gothic style garden or Victorian Black garden. Aside from looking very cool and tasting quite delicious, the black pumpkin is also packed with nutrients that benefit good health. If you are looking for something unique and healthy to add to your garden, the Japanese Black Pumpkin makes a terrific choice. Most full grown black pumpkin fruits weigh around 3.75 pounds to 4 pounds. The black pumpkin is a vigorous plant that produces fruit early. This variety of squash requires less fertilization in the early stages as opposed to other varieties. Harvested fruits store well for later use, simply allow the squash to sit in the sun for a few days after picking before storing for winter. 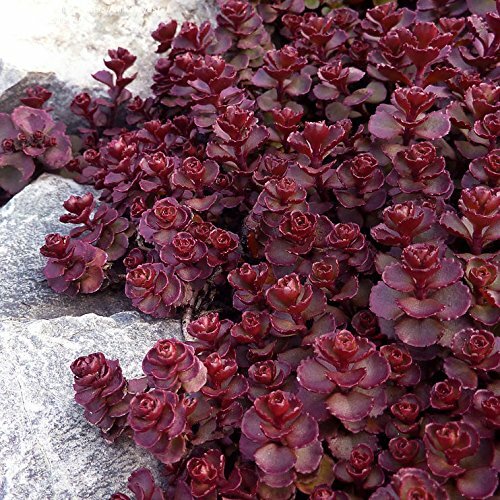 These plants prefer a fertile, well drained soil in a warm, sunny location. Seeds should be sown in the ground after danger of frost has passed. Prime planting time is in the late spring or early summer months. Take care that seeds do not sit in soil that is either too wet or too cold, as this could cause the seeds to rot. Seeds may be planted in either rows or done as a hill planting. For the hill planting method, create a one inch diameter mound in the soil that is three to four inches tall. Place one or two seeds in each mound, spacing the mounds around four to six inches apart from each other. For planting in rows, space seeds about six inches apart as you go down the row. Fruits reach maturity approximately 45 to 50 days after flowering. Soil should be kept moist and regularly fertilized. These plants typically rely on open pollination, however, it may be necessary to use hand pollination if you find that your plants are not producing fruits. The fruits will grow on a vine and these can either be left to trail along the ground, like with a typical pumpkin patch, or the vines can be trained to climb a vertical support such as a stake or trellis. While either method is fine, the vertically supported option provides better air circulation, keeps the fruits off of the ground, and also makes it easier to harvest the fruits when mature. 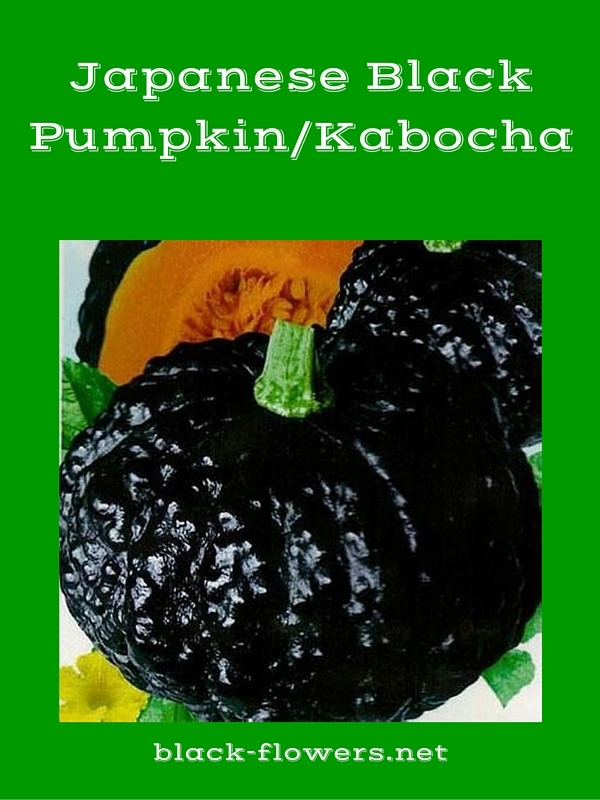 The black pumpkin is a type of Kabocha squash. While similar to a butternut squash variety, the Kabocha is lower in both calories and carbohydrates. Kabocha is also an excellent source of beta-carotene, a powerful anti-inflammatory and antioxidant. Beta-carotene is converted to Vitamin A in the body, which is essential for healthy skin and hair, healthy white blood cells, good night vision, and a healthy immune system. Kabocha is also a good source of Vitamin C and some B Vitamins, as well as iron. It also provides beneficial fiber to the diet, which most people don’t eat enough of. Try using Kabocha in place of butternut squash in recipes, for better nutrition with less carbs and calories. It can be roasted and eaten as is, or pureed and made into a tasty soup that is both satisfying and healthy. Consider sauteing Kabocha with onions and spices and serve it as an appetizing side dish with your meal. Paula Atwell is a freelance writer who admires beautiful flowers and a good cup of coffee in the morning.